One of the requests that you’ve had for us revolves around how we use grants to start and sustain some of our efforts to keep derby accessible. Last week, we sat down with Heather “Hell Vetica” Keisler Fornes, our Operations Manager (who contributed to “Pack it Up: How We Created an Incredible Volunteer Base”) to talk about Rose City’s experiences with and applying for grants. How has Rose City approached grants? Rose City is lucky enough to have most of our income come through earned income (ticket sales, dues, etc.). About 10% of our income right now comes through contribution revenue, which includes grants, individual donations, fundraising events, and sponsorship. It is one of our strategic goals to increase the percentage of our income that comes through contribution revenue, so that we can keep dues manageable and ticket prices reasonable but still afford the new venue that we’re working toward. As we look to increase the percentage of contribution revenue, our focus will be more on individual donors and sponsorships, but grants will play a role. The key for us is to be smart about how we apply for grant funding. Currently, our work is done through the Development Committee. This group creates and implements the annual development plan – a chunk of which is around grants. We currently have a couple of people that excel at research and a couple of people that excel at writing/grant writing. With their help, since April 2018, we have brought in a grant to support Rent ‘n’ Roll, an in-kind grant to for a new (really nice!) projector, and we’re waiting to hear back on a couple of others. How does Rose City use grants? Generally speaking, grantors tend to prefer to fund new programs and projects that have a big impact, so we typically look at grant funding as an opportunity to jump start something we’re passionate about. For example, we recently replaced our scoreboard projector thanks to a generous donation from Epson through its Focused Giving Program. Grants usually don’t cover staff, buildings/capital projects, or ongoing efforts that will not survive without grant funding. There are exceptions to this but they’re the exception and they tend to be very competitive. 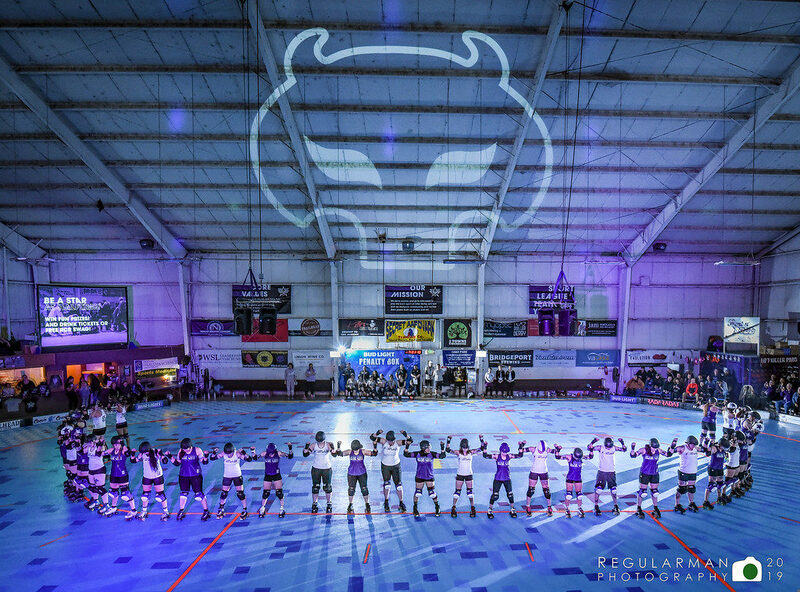 Our new scoreboard projector system, as seen in the back left at our recent Wheels vs Justice game. How does Rose City find grantors? We frequently use GrantStation, but the members of the Development Committee often keep their eyes peeled for grants that align with our values and goals, and there is still a fair amount of word of mouth. There are also foundation databooks – you can typically access those at your library, which saves you a bit of money! The first grant is the most difficult: it might take 30-40 hours to write a letter of interest. Grantors typically want to know about the organization and what their money will fund. Once you’ve completed your first application, you probably will use passages from it in any future applications you do. Your league’s story doesn’t change, but how you present it might based on what you are trying to get funded or the focus of the organization that you are applying to. Once you’ve submitted the application, it takes anywhere from six months to a year to see the funding (assuming that you are the awardee). Given this, and the limited resources that every roller derby league deals with, you need to find a balance between the grant amount and the amount of time and energy going into applying for that grant. A government grant might be on the order of $100,000, but you rarely see them awarded to derby leagues, so your time and energy might be better spent on applying to foundations or to companies that have charitable arms. Developing a relationship with a grant-giving organization before a grant is awarded is rare: they want to remain unbiased during their selection process. After the grant is awarded, and depending on the nature of the program, they might want to stay in touch.  Rose City Rollers, for example, has a healthy and strong relationship with the Multnomah Athletic Foundation, which has supported our scholarships as well as Rent ‘n’ Roll. Our missions align really well and it’s always exciting to see what we can do together. Grants are great when you get them, but they should never be seen as the solution: they’re one tool in a non-profits’ toolkit. Build individual donor programs, explore community rewards programs (like the ones offered by Amazon Smile and Fred Meyer), look at having bottle drops at your bouts, look at car donations, and host friends and family nights at local restaurants. You can see a list of all the ways Rose City raises funds here.